You may have come across sleeping bag liners when browsing camping stores. In this article, we look at what they are and why you might need one, and review two sleeping bag liners from Lifeventure. 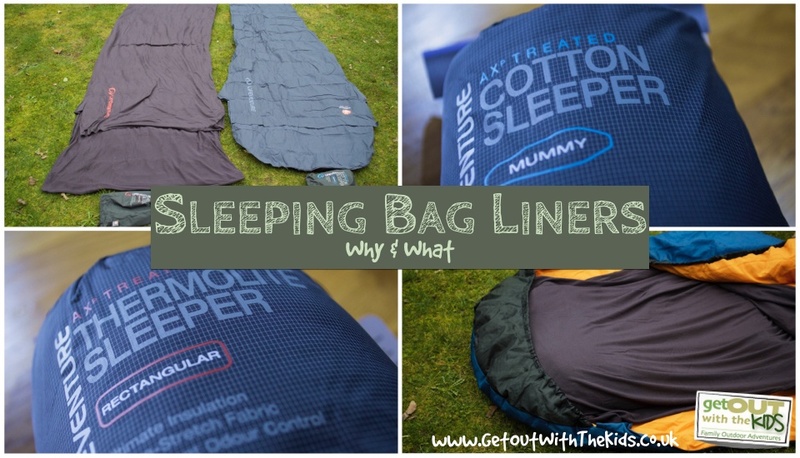 What are Sleeping Bag Liners? 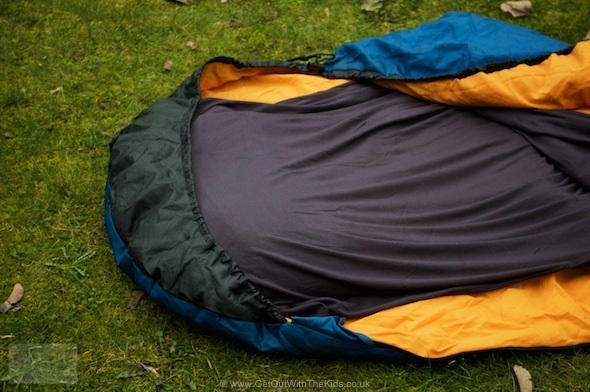 As their name suggests, sleeping bag liners line the inside of your sleeping bag….but why would you want to do that? After all, you may find sleeping bags quite restrictive, so wouldn’t adding another layer just make the problem worse? 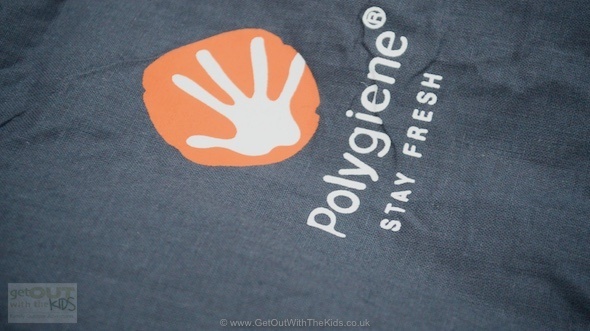 Most sleeping bags are washable, but let’s face it, they are not always the easiest to dry. Using a liner provides you with a removable barrier that you can take out, wash, and dry. Ever had to borrow someone else’s sleeping bag that was, well, a little bit ‘used’? A sleeping bag liner here would make things a little bit more comforting. What about backpacking in foreign lands, staying at cheaper accommodation where the sheets may not be changed as regularly? Again, a liner here could help you sleep a little bit more easily. For most of us doing family camping, this isn’t a good reason to get a sleeping bag liner. 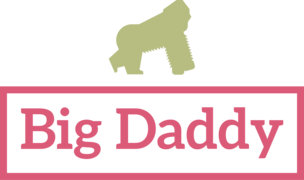 However, there is one big reason why you might consider getting one…. A lot of us family campers start off with sleeping bags that are best used in summer time. Then the camping bug gets hold and we start to extend our camping season into cooler weather. Now the sensible thing is to get a better sleeping bag (click here to read an article on Four Season Sleeping Bags for info on sleeping bag ratings) but if you are only camping just outside of summer, investing in new sleeping bags may not be an immediate option. 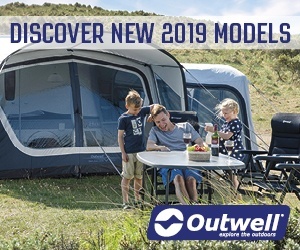 You should always insulate your family’s sleeping area properly when camping during cooler nights (click here to read an article on setting up your sleeping area). You can help make things more comfortable by using a thermal sleeping bag liner. 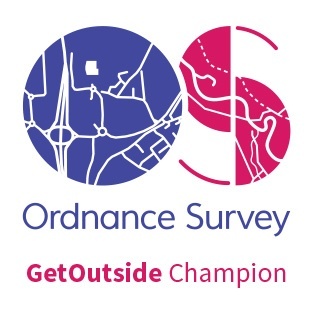 If you get a good one, you could increase the performance of your current sleeping bag. When browsing around camping shops, you may have seen sleeping bag liners in small black pouches. 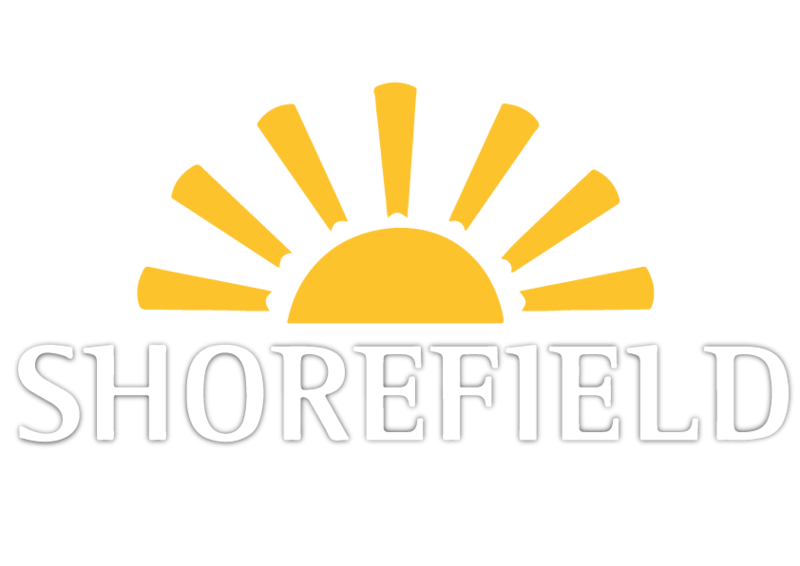 Chances are these were from Lifeventure, a leading brand in sleeping bag liners (as well as other outdoor and travel products – we particularly like their thermal mugs!). 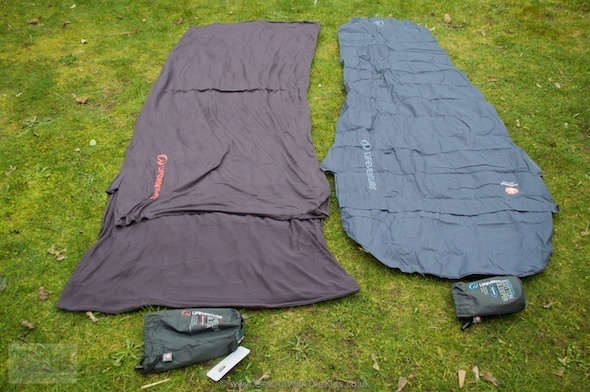 Here’s our video showing you both sleeping bag liners. The Lifeventure cotton sleeper is just as the name suggests, a cotton sleeping bag liner. You can get these in either mummy or rectangular shapes to match your sleeping bag’s design. 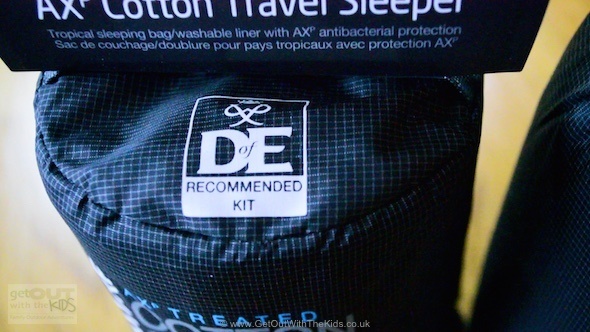 This sleeping bag liner is part of the recommended kit list for those doing the Duke of Edinburgh Award expedition. We bought this one for our eldest daughter that is currently doing her expedition. 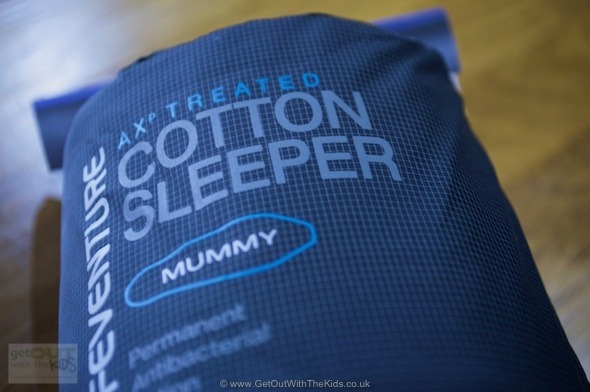 The fabric has been treated with Lifeventure’s Stay Fresh technology which helps with those hygiene concerns for those using other people’s sleeping bags or those travelling. We found with this sleeping bag liner, and the Theromlite one reviewed below, that they both had a pocket behind the head area so that you could roll up something like a fleece to make a pillow. Very handy. You can get it in either mummy or rectangular shapes. It has been treated with Stay Fresh technology. It has the ‘pillow pocket’. A big difference with this sleeping bag liner is that it is thermal. The material is very similar to what you might find in thermal base layers, with lots of microfibres to trap your body heat. 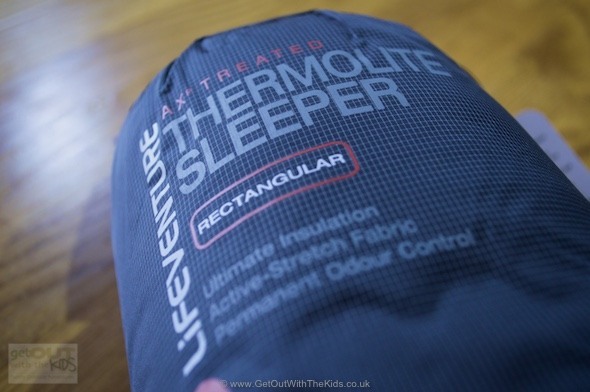 Lifeventure say it could increase the performance of your sleeping bag by up to 15 degrees Celsius.  So which sleeping bag liner would we recommend? The Thermolite. We can’t verify that we had a 15 degrees improvement in sleeping bag performance, but we did find one of our 2 season sleeping bags performed well even on a slightly frosty night in early March. So if you are looking to improve the performance of your sleeping bag, spend a few more pounds and go for the Thermolite, not the Cotton sleeper. In addition, we preferred the feel of the Thermolite. The cotton sleeper felt a little starchy, and although I suspect that will disappear once it has been used and washed a few times, the Thermolite was soft to the touch. So again, the Thermolite wins on comfort. 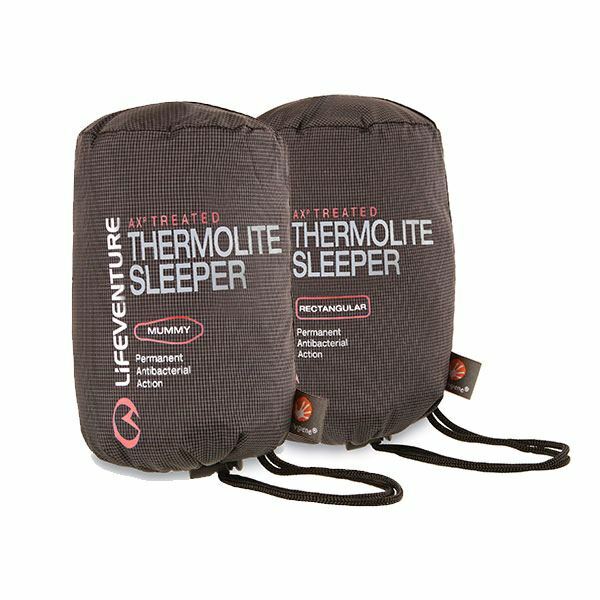 With thanks to Lifeventure for supplying the Thermolite sleeper so that we could conduct this comparison review. All opinions are our own.